« Should the PNM Govern Us Again? So too if there is no one with the capacity to be CoP it will be a mark of planning and foresight deficiency on succeeding Police Service Commission, the senior officers and second division associations. Not without responsibility is the wider society, which in different ways would have allowed the service to grow-up without nurturing the kinds of individuals to effectively manage the Police Service at the very top. The media, the judiciary, the Law Association, the business community, the religious institutions, the labour movement, the political parties and every other institution of significance must also share in the responsibility if indeed we do not have an adequate leader in the Police Service. However, it is far from a proven fact that there are no officers amongst the ranks with the ability to effectively carry out the job of CoP, and this is distinct from the fact that the Police Service has performed badly in interdiction. But it cannot be that the entire responsibility for the criminal madness must hinge on the Police Service and the CoP. Trinidad and Tobago Police Social and Welfare Association president Emrol Bruce yesterday met with Prime Minister Kamla Persad-Bissessar to discuss the fourth extension of the term of Acting Commissioner of Police James Philbert. THE nation was taken aback when on Monday came news from the Police Service Commission (PSC) of their temporary reappointment of Acting Commissioner of Police (CoP) James Philbert for yet another extension to act until September 30. 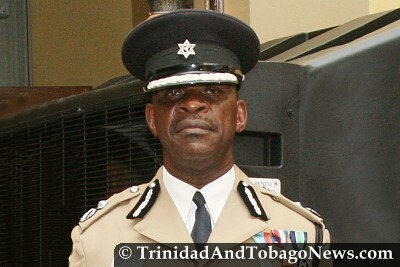 The circumstances that have led to a fourth extension of the term of office of James Philbert as Acting Commissioner of Police are quite regrettable. The People’s Partnership has been batting a straight line since coming to power, gently tapping at each of the urgent issues coming its way with one eye on their campaign promises and the other fixed on the failings of the government they replaced in office. I told you Commissioner Gibbs, you should not fall for the Trini dollars. You obviously do not know what you were getting into when you signed up for this job in crazy T&T.Tell me sir , where else in the world would the son of a watermelon farmer, be kidnapped ,ehhhh? Certainly not in Edmonton Canada, unless he augments his wages with other unmentionable crops, yes? I agree with Arts and Multiculturalism Minister Winston “Gypsy” Peters , who said, “… drastic times call for drastic action and we must embark on some kind of drastic action to eradicate this kind of behaviour.” What does this translate to one ask? I guess that means hangings ,as proposed by his acting PM, or encouraging you to revive the Randy Borroughs flying Squad play book,as you probably engage in selective shoot outs across the nation. This however is closing the stable when the horse is already out , yes? Would someone tell these illiterate , blue color, thugs , and bandits ,that it is the dawning of a new day in T&T, and criminals will no longer be cuddled , irrespective on how many money they can inveigle to pay unscrupulous lawyers, to fight their cases all the way to our anachronistic , time consuming Privy Council. The war on crime is best done by level heads, on all fronts. This includes preventative actions, and addressing long ignored social maladies ,such as hopelessness, unemployment, greed, and even envy , that contributed to the problem initially, but what do I know, hummm?